In the Western world, eggs are synonymous with a hearty breakfast. One egg has 75 calories and loads of vitamins, minerals, and iron. Eggs are usually served with a range of other foods to fill you up and start your day, but they’re not limited to early morning meals. Eggs can be eaten with any dish and served in a variety of ways. Did you know there are around 16 ways to cook eggs, but the most popular are hard or soft boiled, scrambled and poached? I’ve never been able to successfully make a poached egg; there really is a knack to this process. My eggs break apart and I end up with an inedible mess. But, I was recently introduced to the ‘egg-cellent’ Breville One Precision Poacher, and it has been invaluable in making the perfect eggs. It’s one of those appliances that will empower and give confidence to the home chef to create tasty restaurant quality dishes with a press of a button. The control panel has a user-friendly and intuitive design. Along with a large LCD that displays the time and temperature, it features all the function buttons in one compact area. It fairly self-explanatory, but the user manual offers eggs-act directions for each method of cooking. To get ‘crackin‘, turn the power on and decide what method you want your egg cooked — be it steamed, poached, boiled, scrambled, Eggspert or Sous vide. Your next option is texture — soft medium or hard. A default temperature and time will show up on the LCD screen, but you can adjust this to your own preferences by toggling up or down. There are basically only two water levels, a shallow level for steaming your eggs and a higher level or all other cooking options; just fill the pot with cold water to the appropriate fill line. The pot has the capacity to cook 6 eggs at one time, so the family can enjoy breakfast together. There is also a Delay Start option, it will automatically begin the cooking cycle at your preselected time. So you can wake up to your favorite eggs with no time wasted. For those who are wondering, Eggspert is a quick and simple way to get soft and creamy textured eggs in the shell. When eggs are cooked at a low temperature in their shells, you can also expect a soft and creamy texture. Sous-vide ( French for “under vacuum”) is a method of cooking in which food is vacuum-sealed in a plastic pouch and then placed in a water bath or steam environment for longer than normal cooking times. So my humble first attempt at making poached eggs turned out egg-ceptional. No breakage, no mess, no waste. To make the perfect poached egg with the Breville One Precision Poacher, you select Poach/Boil method, fill the pot with water to the water line, put the lid on, insert the probe into the steam vent and press start. Once the water is at the right temperature you’ll hear an indicator beep. Now you can crack up to four eggs into the preheated water, put the lid back on and the probe in place press the Start button again. In minutes you’ll have flawlessly poached eggs. Family members are your biggest critics and they say what’s on their mind, so I anticipated some obvious feedback. For those who like soft eggs, they were happy with the consistency and appearance of the poached eggs. For the rest, I scrambled a bunch of eggs and also made a rack of hard-boiled eggs and they turned out well. Now they want me to make the meals from the recipe cards. The Breville One Precision Poacher is not only for eggs, it has the versatility to poach meats like salmon and chicken as well using the Sous-vide method. The Sous-vide cooking method offers an accurately regulated temperature for all foods. The intent is to cook the item evenly, ensuring that the inside is properly cooked without overcooking the outside, and to retain moisture. To Souv vacuum-sealed salmon, fill the pot up with water to the Souv fill water line. Press the Souv method and choose 58° for 30 minutes. When the preheating is done, place the vacuum-sealed salmon into the pot making sure they are completely submerged, put the lid on and insert the probe. The probe allows for precise temperature control and perfect Souv results every time. I love this appliance; it’s a smaller appliance so it fits nicely on the counter without requiring too much elbow room. It’s a breeze to use and super easy to clean up. The lid and egg tray are dishwasher safe, but the pot needs to be hand washed in warm sudsy water. Because it has a nonstick surface, care needs to be taken. Only use wood or silicone cooking utensils so you don’t scratch the surface. Whatever dish you’re creating, the Breville One Precision Poacher is an appliance that will offer help when it comes to cooking eggs and vacuum foods perfectly. Disclaimer: I received product to facilitate a review. All opinions express are my own, yours may differ. I like their bamboo mattress! Yes, caught this, thanks Kristen. No worries, all entries will count. What did the eggs do when the light turned green? They egg-celerated! I love to own the Breville Smart Oven. I’d love to have the Fast Slow Cooker! Don’t you like my egg-cellent jokes/ Did you hear the joke about the broken egg? Yes, it cracked me up! They can’t take a yolk. The Risotto Plus would be first choice of an appliance from the site. How did the egg get up the mountain? I want the Barista Express! I would love the Custom Loaf! The the Smart Oven™ Pro is an appliance I would love to have along with this one!! Just give it a little push! I like the Breville Sous Chef plus food processor. The smoking gun is a product I would love to try. I’d also love to have the Crispy Crust Pizza Maker. I would also really love the Breville Quick Touch. I would really love to own the DIE-CAST 4-SLICE SMART TOASTER. My old toaster worked very well but it died a few weeks ago and the replacement I bought is horrible! In my dream kitchen I would love to have the Oracle espresso maker. Another appliance I would absolutely love is the the Quick Touch Crisp. THE BREVILLE SOUS CHEF™16 PRO would be well used maybe one of the most used in my kitchen! I am switching to soups with the colder whether but also changing up our way of eating to improve our well being. I spent a few weeks with breville food processor and lost several pounds. I am saving up for one. THE SMART OVEN™ AIR I love air fryers they are awesome. I would love the Grind Control. I would love to own the Breville Smart Fryer too! What crime is an egg most afraid of? Would also love the THE SMART OVEN™ AIR. They have such great small appliances to choose from. It would be a dream to have the THE BREVILLE SOUS CHEF™16 PRO. I love to get my hands on one of these THE SMART OVEN™ AIR devices. I would love The Fast Slow Pro ! the Oracle® Touch https://breville.ca/collections/espresso/products/the-oracle-touch?variant=42977837123 thanks. I would love a Breville Espresso machine. I would be my own personal Barista. I would love the Oracle Touch! I would love the Breville Smart Oven Air! I have my eye on the Smart Oven Pro. Beautiful and high quality products. I like the the Scraper Mixer Pro. I really need a product like this. I’m impressed with the THE SMART OVEN™ AIR. Breville Smart Ovens would be Great for me. I would love to bring home one of their juicers like the the Juice Fountain™ Cold. I would love to have a Nespresso! What do you call a city of 20 million eggs? I would love the Breville Fast Slow Pro. I need a microwave that does not take a PHd to run. I like the smart touch. I visited Breville and another appliance I would love is their THE BREVILLE PRECISION BREWER™ THERMAL coffee maker as mine seems like it is near the end of its life. The Smart Oven™ Pro would be nice to own. Wow, the The Café Roma would be awesome! The Breville Smart Oven Air would be a dream! The air frying feature is so innovative! Id love to have the hot wok pro! I would love the Breville Smart Oven! I would love to have the Fast Slow Pro. I’d love THE SMART OVEN™ PRO! I’d really like Breville’s Smart Waffle Pro-2 slice. I would really like the Fast Slow Pro. i’d love the smoking gun! I would love the the IQ Kettle Pure! I would love an Oracle Touch, but would be over-the-moon with a stand mixer! I would also like to own the THE BREVILLE SOUS CHEF™16 PRO. The Risotto Plus is great, I have one and I purchased one of each of our kids. It is such as easy way to make risotto, no continual stirring and it is great to steam fish or shrimp! The Smokin’ Gun sounds awesome! I would love to have the “oracle touch” espresso machine – it looks amazing! I’d love to own the the Smart Waffle™ Pro 2 Slice. I would love the Nespresso. I`d want The Breville Boss Blender to make all my morning shakes. You need to answer the mandatory question to qualify. I would love the deep fryer – it looks awesome! the Fast Slow Pro™ is incredible and something I’d love to have. I’d like the Smart Oven™ Air . One appliance does it all. I wouldn’t need a dehydrator, air fryer, or a toaster. How cool is that? I would love the The Smart Oven Air, my mother-in-law has something similar and it makes everything look easy. How do comedians like their eggs? Funny side up! I enjoy tea and would love to have the Breville The IQ Kettle Pure… Thanks! What day do eggs hate the most? Fry-day! I would like the Die-Cast two slice Smart Toaster. i would love the pizza touch. I would love to have Breville’s Die Cast Smart Toaster https://breville.ca/collections/toasters/products/die-cast-smart-toaster?variant=38572069123 Thanks for the super giveaway opportunity! I have been poaching eggs in the frying pan for too many years! I would love the Oracle Touch Automatic Espresso Machine! Very impressive! I would also love to try the fast slow pro. Sounds perfect for our home. Thanks! Why is the chef so mean? She beats her eggs! I’d love the Fast Slow Cooker. To save on grocery costs, I often buy the tougher cuts of meat. I’d love an espresso machine! The Oracle touch Barista Machine-a dream prize. Id love the precion coffee maker! 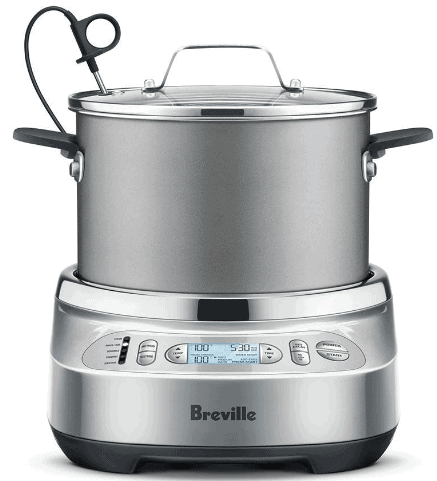 I would also love to have the Breville Slow Cooker with Easysear. Thanks for the chance! Just got a new place so I need to get stocked!! 1) compact smart oven, 2) hand mixer/scraper 3) just for fun the steamer!!! The Oracle Touch Espresso Machine! In my dreams! I’d love the IQ Kettle Pure to make perfect tea. How do eggs leave the highway? By going through the eggs-it. I’d also love their Smart Oven Pro. I would like to have the Breville Food Processor. Another item I’d love is the Breville Smart Oven. I would also love the rice cooker. Thanks for this chance. I would really like the Sous Chef 16 Pro. Wow. Just, Wow! Smart eggs pass all their eggsams. I would love to have the Nespresso. Bring on the coffee! I would love to have the Breville Crispy Crust Pizza Maker. I would like the Breville Boss To Go Plus blender. I would love the the Smart Oven™ Air!!!! I would really like a Smart Oven Air. I would use it instead of my large oven. You got to be “yolking”! Would love to cook with The Risotto Plus! I would love to have the Breville Sous Chef Pro food processor. What day to eggs hate the most? -Fry-day. I learned that pumpkin seed oil is a healthy unsaturated fat that will reduce inflammation in your body, which makes me want to try it. I’d like the Breville Smart Grill. Because they can’t take a yolk! I’d love THE SMART GRILL! I would love the Breville Quick Touch microwave. Thank you for the opportunity! Enjoy your week! id want THE SMOKING GUN. I think the Breville Food processor would make a great addition to any kitchen. Here’s my egg joke:Why did the chickens feathers stick out?He got an” eglectric “shock! Why did the egg go to the doctor? Because it had an egg-zamination appointment. I love the Breville Smart oven! 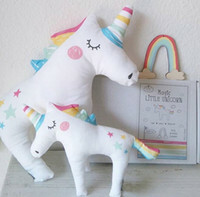 That would be so handy – especially for the children to use! Oracle Touch Espresso Machine would be nice to have. I would really like to have the the Breville Precision Brewer Thermal Coffee Maker. I like the the Juice Fountain™ Duo. I’d like to be able to make smoothies and iced coffee drinks. I would love to try the the Smart Oven Air. A Breville Smart Oven would be another great product to try out. Thanks! I love the Barista Touch. I am a coffee lover and this looks very high quality. I would also love the Breville Precision Brewer™ Thermal. I think I would be one of the happiest women in the world if I owned the Breville Sous Chef™16 Pro! I’d have so much fun using it ! I’d love to have the THE BIT MORE 4-SLICE TOASTER. Another Breville appliance I would love to own is the Breville Sous Chef™ 12 Plus food processor. I really like the the Barista Express. They have a great selection of things I would use. I would love to have the THE SMART OVEN™ AIR! I would love to have the Control Grip Immersion Blender. I would love one of their immersion blenders! I would really like the Breville Smart Fryer. I love the Breville Microwave. I love the Risotto Plus. I’m all about the Crispy Crust™ Pizza Maker!